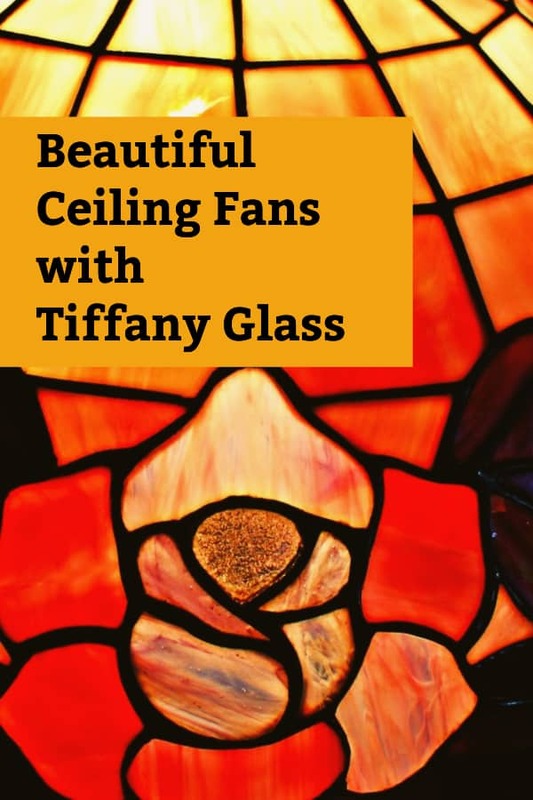 Here are some Tiffany ceiling fans and fanlight ideas for period Art Nouveau homes, or homes that are following the Aesthetic Movement Style in their home decor. 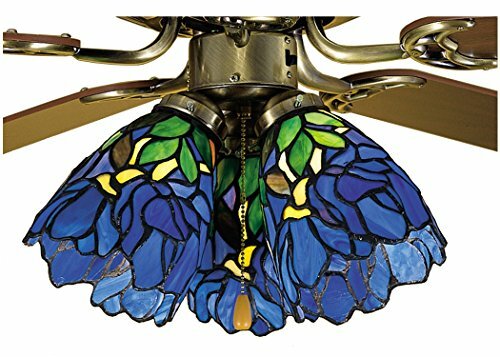 The best Tiffany ceiling fans with lights feature wonderful different colored glasses that usually has a theme from nature like flowers, birds, peacocks and dragonflies. Tiffany fan light ideas that are perfect for brightening up your home decor. It is possible to buy individual tiffany lamp shades for ceiling fans, but I would recommend buying the whole fan kit together with the fan motor mechanism and blades. This will probably work out cheaper and the fan will have an overall better appearance. 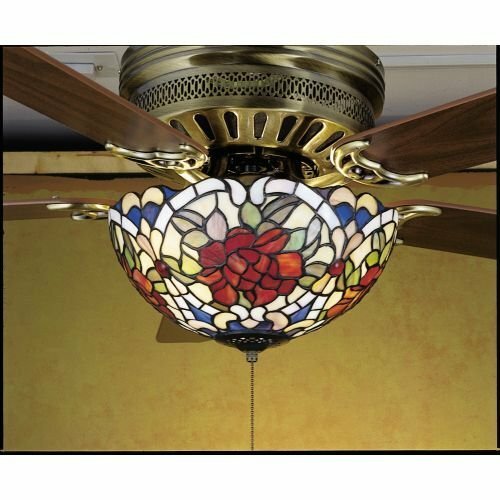 However, the Meyda Tiffany ceiling fan light kit featured is one example of a beautiful Tiffany fan glass light cover that you can buy individually. 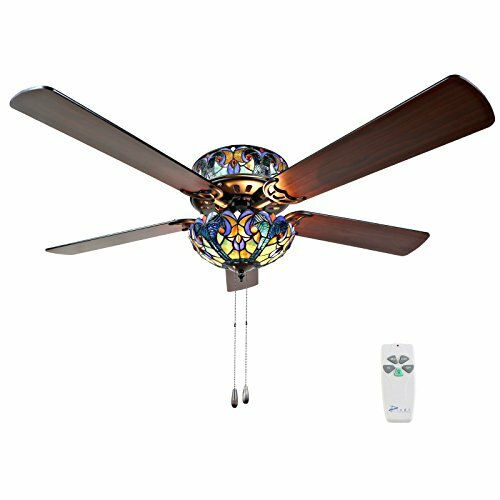 With these stained glass ceiling fan light kit and fixtures, you can add style and interest to your living rooms or bedrooms. 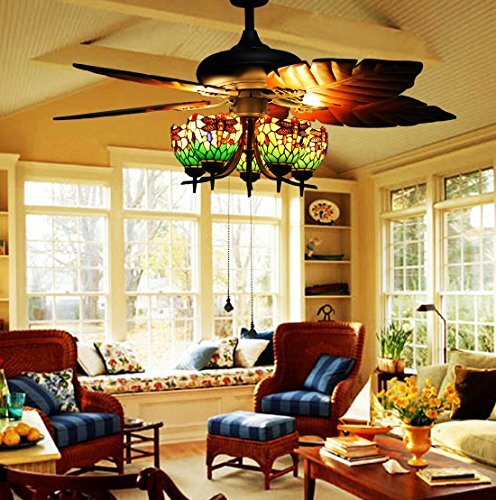 The great thing about Tiffany ceiling fans light fixtures is they are timeless in their appearance. Different home decor styles come and go but these lighting and fan fixtures remain a great favorite. During the Art Nouveau period, one of the main design features were patterns that came from nature. So you will find glass objects from that time that have flowers, leaves, birds and dragonfly patterns. 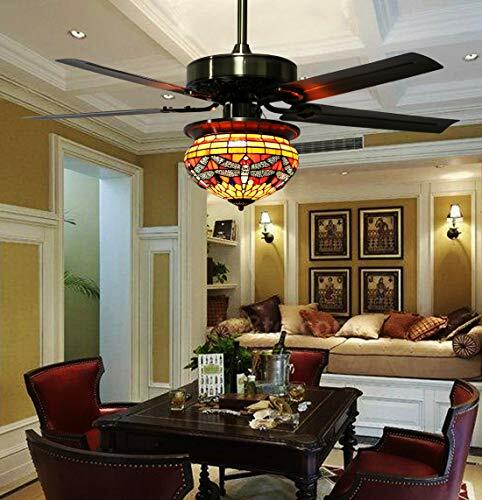 These dragonfly design glass ceiling fan really sum up the era as they are both colorful and aesthetically pleasing. 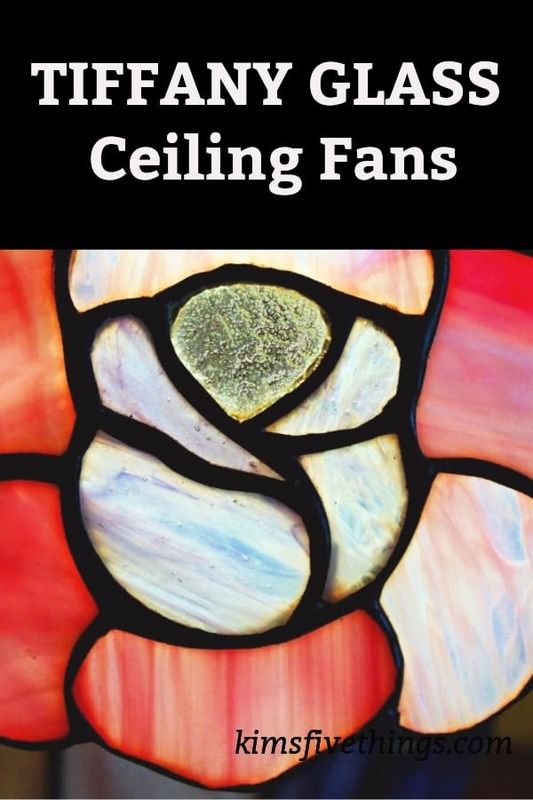 Here are some inspirational ideas for ceiling fans and fanlight kits that feature stained glass decorative light shades. 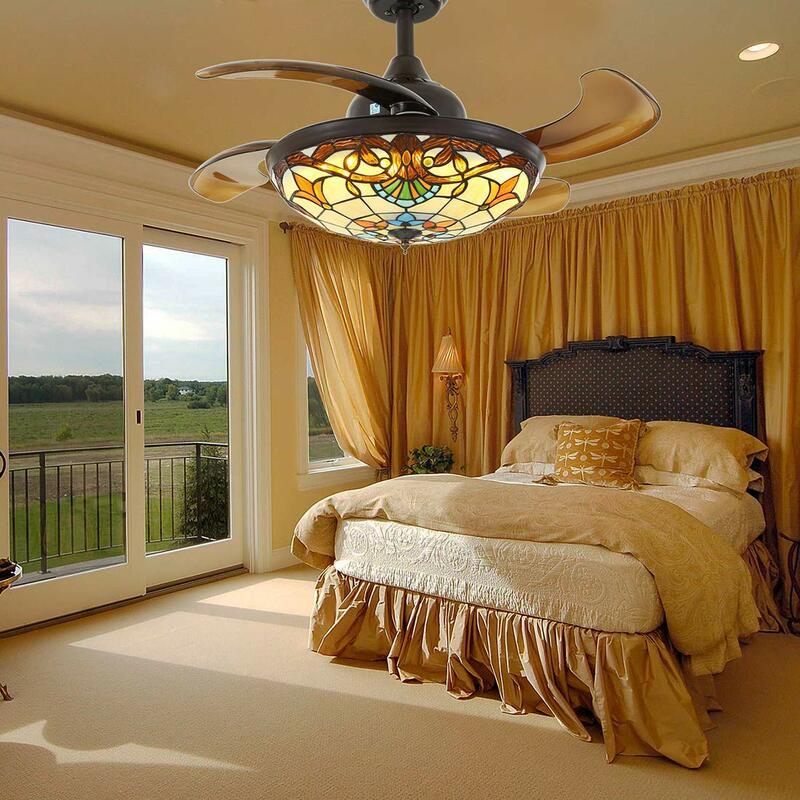 When you install one of these ceiling fans you instantly add a great feature to your ceiling. Add in other Art Nouveau pieces like Tiffany glass lampshades, to your room and you can have a put together look that will be warm and comfortable. 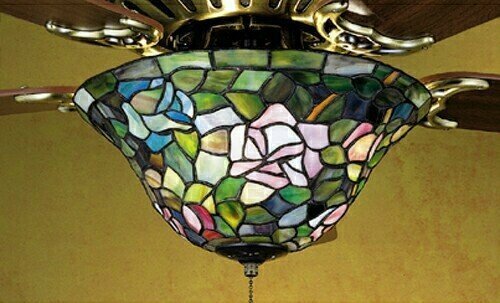 With this style of stained glass ceiling fan, we find a more geometric art deco style. 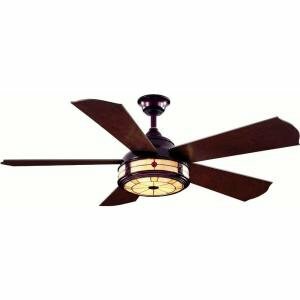 This very stylish Savoia by Hampton Bay ceiling fan has a 52-inch fan blade that has the look of weathered bronze in it’s finish. I could see this in a living room that was decorated in the Art Deco style. Here is an amazing demonstration of the time-consuming method of creating a Tiffany-style leaded glass lampshade. It is certainly amazing to watch such a clever craftswoman, the way all the pieces of glass are cut and arranged is amazing. Can you install a ceiling fan where a light fixture was? In this video, it walks you through a method you need to follow to safely install a ceiling fan in a light fixture. 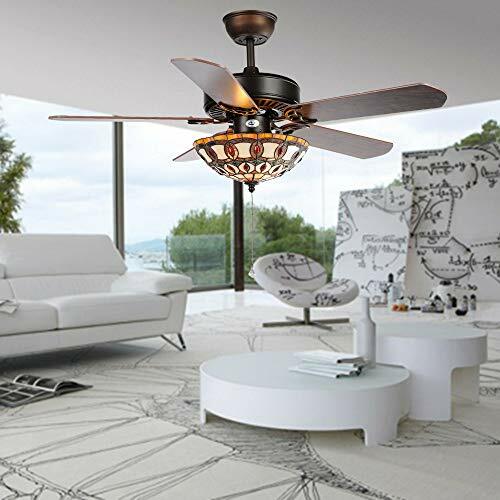 One of the most important things to realize is that a Tiffany light ceiling fan is considerably heavier than an ordinary domestic light fitting. So it is very important that weight bearing brackets are securely attached. For example by being screwed securely into a wooden ceiling beam.